I worked very closely with the requester of this card to make it custom and personalized for the recipient. I think it's my best card ever--I really love how it turned out! Since I made this several weeks ago, I might not remember the cut sizes exactly, but I'll tell you everything else about it. Here's how it started out. 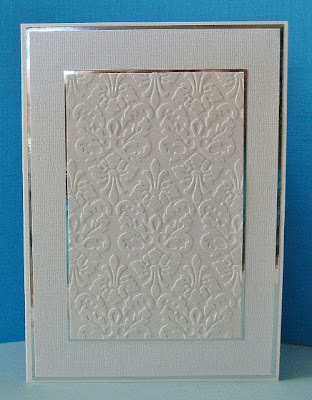 I used a 5x7 white card, layered with silver foil paper. This is the first time I used foil (which I got from Walmart--2 sheets in a pack for 97 cents), and I had no problem cutting it. 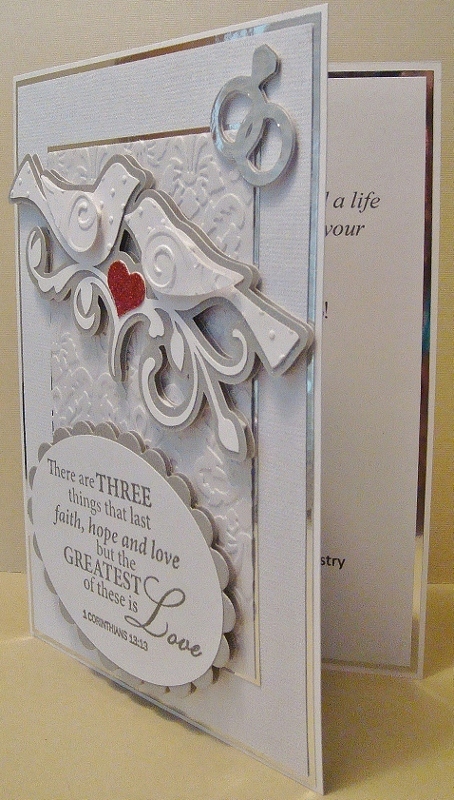 On top of the foil, I layered a piece of white Coredinations Premium Cardstock with Canvas Texture called Snowcap. 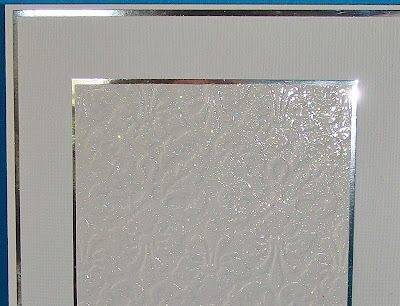 The center mat is white glitter cardstock embossed with Kassie's Brocade Cuttlebug folder, layered on another piece of silver foil. Here's another view of it so you can see the glitter and shine! The doves were cut on white cardstock using Celebrate with Flourish at about 3". 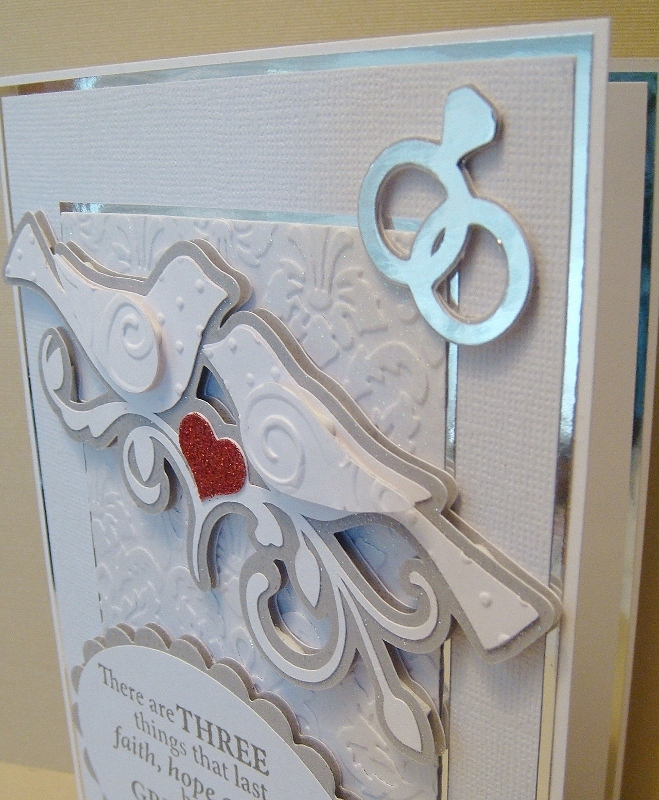 I embossed the wings with Divine Swirls and the bird's bodies with Swiss Dots. 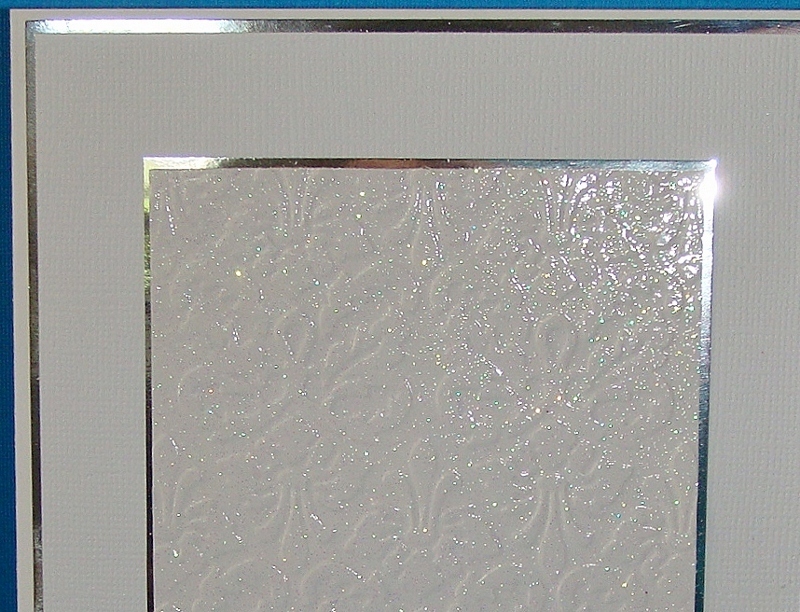 The shadow is cut in silver glitter cardstock, and I layered that on top of a second shadow with foam squares. The rings are from the Sweethearts cartridge cut at probably 1-1/4". Because they're so small, I just layered them on top of each other to get the height I needed. 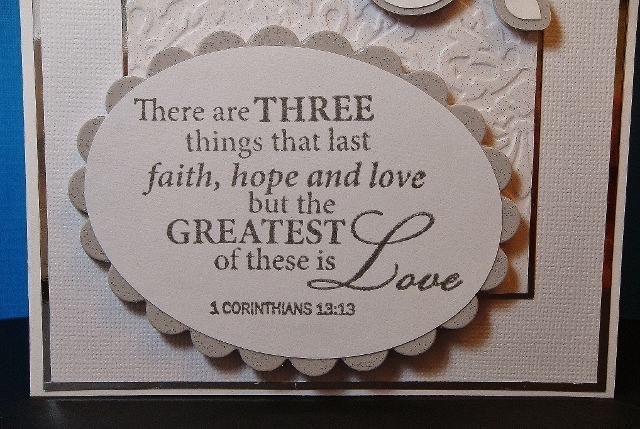 This sentiment was actually a stamp from Fiskars Just Married Quotes (a set of 19 clear stamps). 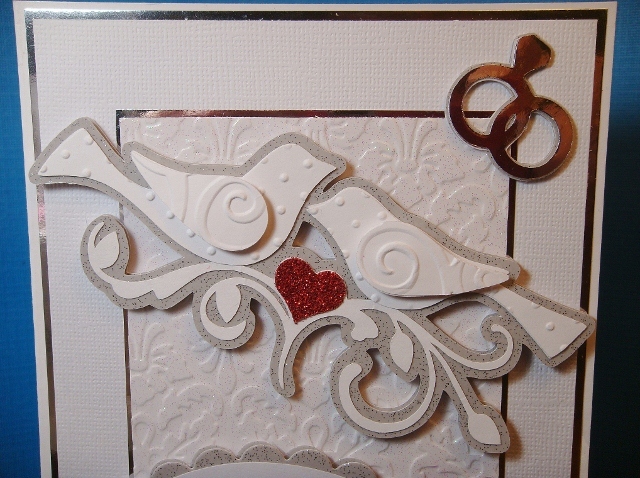 I cut the plain oval from a Cricut cartridge at the size needed to fit the scalloped oval which is a Spellbinders die. I used Brilliance Lightning Black ink to stamp it. Here you can hopefully see the layers on all the images. 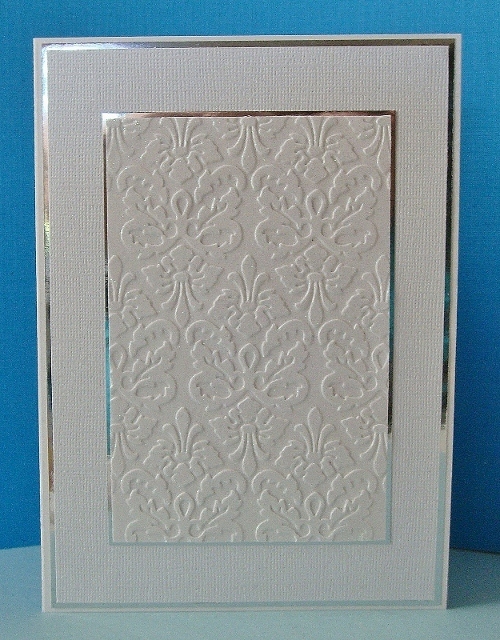 The sentiment inside is computer generated on white cardstock layered on silver foil to match the front of the card. I have to say that the pictures don't really do the card justice. I wish you could have seen it in person! That is beautiful. Love the glitter paper and that foil paper! This is gorgeous!!! WOW! 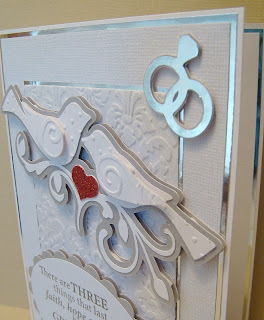 Love the colors and love the cuts and embossing!! 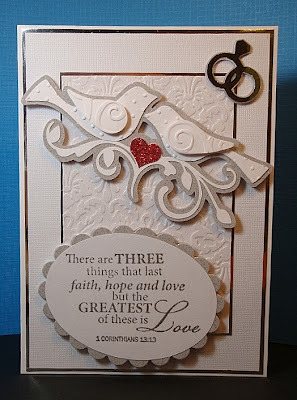 Beautiful, so elegant, stunning card. Stunning and beautiful! 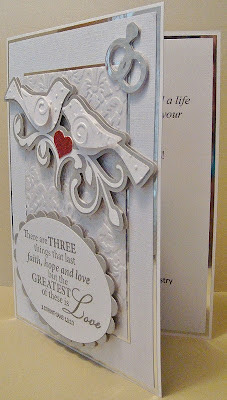 I love all the layering, embossing, and dimension. Die Cuttin' Divas Anything Goes Challenge! 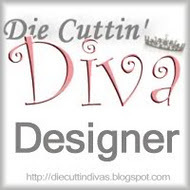 Die Cuttin' Divas Christmas in July Challenge!